Designed and manufactured by Karakal the Karakal ACE is for superior play and meets ITF specifications. Pressurised balls made using English Felt. This great offer includes 4 dozen balls free!. for submitting product information about Karakal Ace Buy 6 doz get 4 doz FREE! - (10 doz case) We aim to answer all questions within 2-3 days. 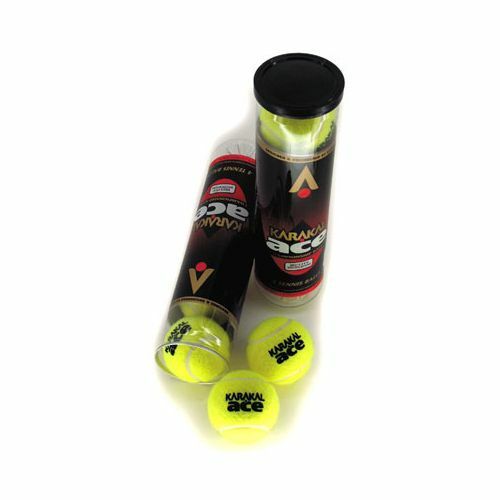 for submitting product information about Karakal Ace Buy 6 doz get 4 doz FREE! - (10 doz case). We aim to answer all questions within 2-3 days. If you provided your name and email address, we will email you as soon as the answer is published. 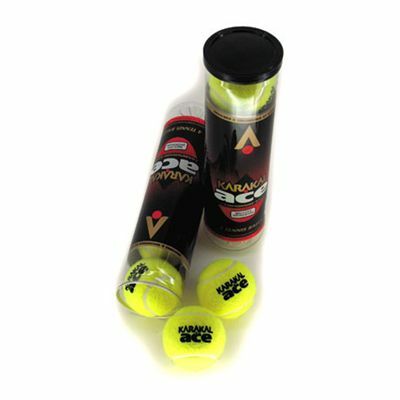 for submitting product review about Karakal Ace Buy 6 doz get 4 doz FREE! - (10 doz case).